What is the oldest thing in the world The 10 Oldest Items In The Known World Whenever we think of ancient objects, many of us think of Greek and Roman artifacts: statues, columns and even jewelry. If we get to thinking along the lines of archaeology, a whole world opens up: What about tools, weapons, even objects used in homemaking? What did people from centuries ago (even millennia ago) collect, use, make and keep? 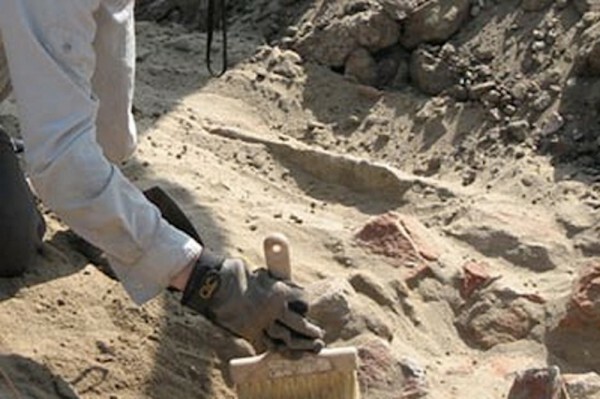 Thanks to archaeologists, we know some of the answers, though likely not even close to all of it. Museums are great places to see ancient artefacts. A lot of things we see at the larger city museums can be one-, two- or even three thousand years old. We stare and marvel at beautiful jewellery, bowls, plates and hair ornaments, and wonder about the people that used them so very long ago. But the oldest objects on this list are much, much older than what one typically sees, even in museums. What are some of the oldest objects ever found? Do these elusive objects tend to be weapons, tools, or articles of clothing? If you could go back in time and witness how people lived 5,000, 10,000 and even 25,000 years ago, which types of objects would be of the most interest to you? Knowing how civilization evolved – the when, who, what, where and how – can teach us a lot about ourselves and our society, and these ten relics are some of the most intriguing and most ancient insights into how our ancestors once lived. 10. Decorated German purse: 4,500 years old via http://news.nationalgeographic.com via http://news.nationalgeographic.com Found in a grave near Leipzig, Germany dating back to between 2,500 and 2,200 BC, this purse’s main material, whether leather or textile, did not survive the test of time. All that’s holding the purse’s remains together are the decorations, now embedded in soil and formerly embedded in the item’s fabric: Dogs’ teeth. It turns out dogs’ teeth were in vogue back in the day, decorating anything from blankets to jewellery. 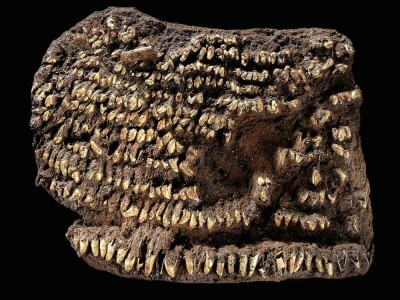 Nonetheless, some teeth on the purse and the item’s intricacy show the owner’s status. This type of belonging was not buried with just anyone; the owner of this ancient tote would have been important, archaeologists believe. 9. Slovenian wooden wheel: 5,200 years old The wheel has long been cited as one of the man’s most important inventions. Without it, the modern machinery would not exist, much fewer carts, cars and more. Building anything larger than a small house would be almost impossible without something with which to transport large amounts of materials. A complete wheel ever found, including axle, was discovered in the Ljubljana marshes of Slovenia, and dates back to approximately 3,200 BC. 8. Armenian leather shoe: 5,500 years old In Armenia, perhaps before the invention of the wheel, people had to get around on foot. The oldest intact shoe was found in a cave filled with a treasure trove of items from the Copper Age. Made of leather and rubbed with a plant or vegetable oil, the shoe has laces, which have been crisscrossed through holes just as today. Only the right foot of this roughly size seven woman’s shoe was found. It had been carefully stuffed with straw to preserve its shape and then buried, without it’s another half. Preserved perfectly throughout the centuries by sheep dung, archaeologists consider this well-worn item to be of the highest craftsmanship, indicating it was worn by someone of means. 7. Armenian reed skirt: 5,900 years old In the same find as the shoe above, the oldest known skirt was found in the Areni-1 cave in Yerevan, Armenia. The head of the Institute of Archeology and Ethnogr aphy in Yerevan, Pavel Avetisian, said a fragment of the skirt, which was made of reed, was found during a 2010 dig in the cave in southeastern Armenia. The discrepancy in the ages of the shoe and skirt, along with other items found there, shows the area was populated for centuries. Another find of the same age as the skirt was a mummified goat, and if archaeologists are right about it being 5,900 years old, it predates the earliest mummified animals found in Egypt. 6. 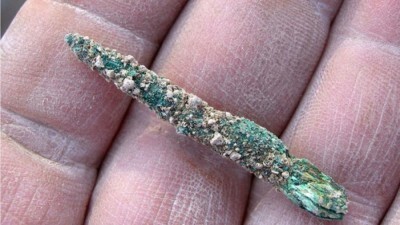 Tel Tsaf copper awl: 7,000 years old Just this year the oldest metal artifact ever found was unearthed in a region of Israel near the border with Jordan. The finding is of tremendous importance — it was thought that the use of metals in this region was several centuries younger. Also, the copper the awl is made of can be traced to the Caucasus region over 600 miles away, showing that the people here were trading far and wide. Their civilization was well-developed, with silos capable of holding up to 30 tons of grain. The awl was buried with a woman whose age is estimated to have been 40 when she died, and the silo she was buried in along with the awl’s placement indicate she was considered important. Archaeologists assume the awl was hers, but cannot tell what it was used for. 5. Holmegaard elm bows: 8,000 years old The original Sniper didn’t have the advantage of a telescopic lens. He (or she) had to rely on keen eyesight, strong training and the flexible bow and arrow, light and portable. 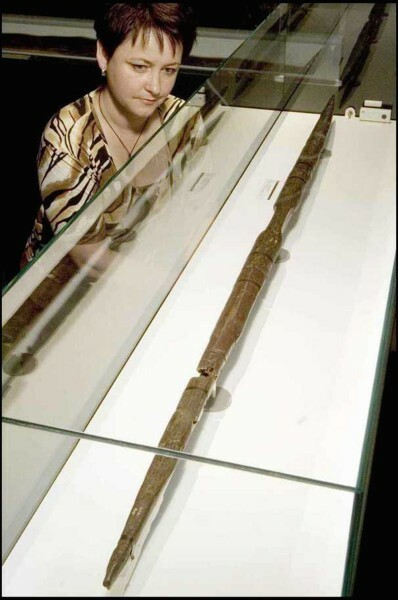 The longbow (as opposed to the crossbow) was the more popular style, and the oldest fully intact longbows were found in Denmark’s Holmegaard region. Made of elm, these bows measure around 67 inches long and were found so intact it has been possible to recreate them, and many have. 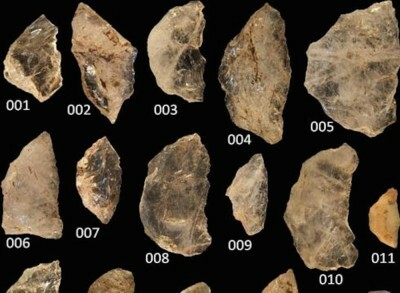 It’s interesting to note that the earliest arrows found are from the same region, but are 3,000 years older. The bows of that time were made of pine, and did not survive. 4. 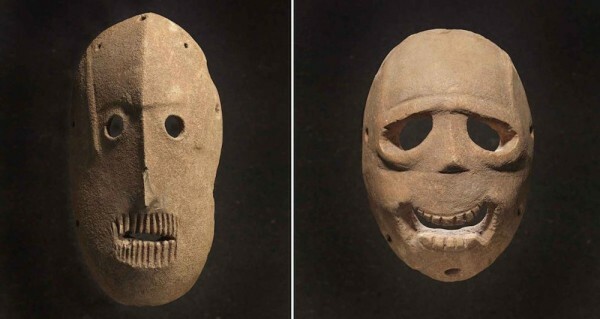 Judean stone masks: 9,000 years old A group of nine stone masks found in Israel’s Judean Hills have been put together for an original exhibition. The masks are general between 11 and 12 inches in height, and after much studying it has been determined, they were worn in important ancestor rituals, likely by early farmers. There was no writing 9,000 years ago, and the hunter-gatherer lifestyle had recently vanished, leaving new farmers in the stead of their wandering ancestors. 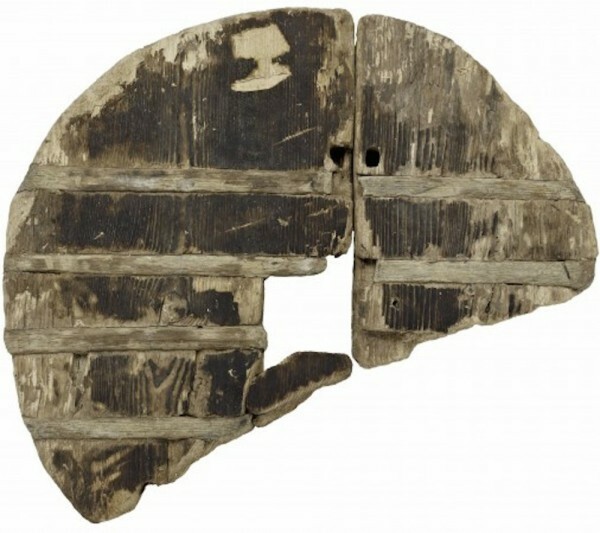 It is thought these ancestral masks would have been the only proof a farmer had of land ownership — the imprint of the face of his grandfather or great-grandfather, for example, demonstrating facial structures specific to the family. 3. Spanish map: 14,000 years old In 2009, the oldest known map was discovered carved on a hand-sized sandstone rock. 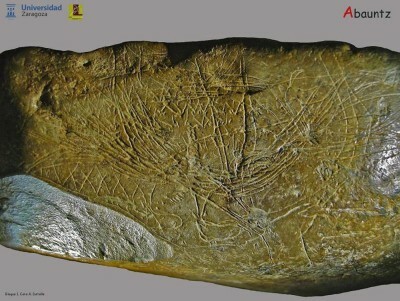 The small rock with etchings of mountains, rivers and even animals was found in a cave called Abauntz Lamizulo in the Navarre region of Northern Spain, an area in the middle of the Basque country. It is believed that the map of the area where the rock was found was used by Magdalenian hunter-gatherers who were only a few centuries removed from the ice age. Marking territory in a rapidly changing landscape would have been very important to these semi-nomadic people, who may have used the map to navigate or to tell the tale of a previous hunt. 2. German bone and ivory flutes: 42,000 years old It is thought by some researchers that our ancestors the Homo Sapiens had an edge over the Neanderthal man on several fronts, an edge that is the reason we survived and they didn’t: Music may be one of the ways modern man socialized and built communities. These flutes carbon-dated to between 42,000 and 43,000 years ago are made of bird bone and mammoth ivory and were found in a cave in southern Germany called Geißenklösterle. Try and say that three times fast.